www.ruxyn.com: BB1M 2015: Where Should You Use It? BB1M 2015: Where Should You Use It? BB1M season is back but late, late, late this time round! I've scouted a bit for BB1M promotions and my initial verdict is .. things are not very exciting for BB1M holders this year. Remarks: Nothing exciting here. Popular is basically recycling their promotion (even same banner design!) but unfortunately no additional contest this year. But they are having a lot of book sales and accepting BB1M as well. Check out their Facebook for more info. Remarks: Looks like MPH is tackling stationery lovers. 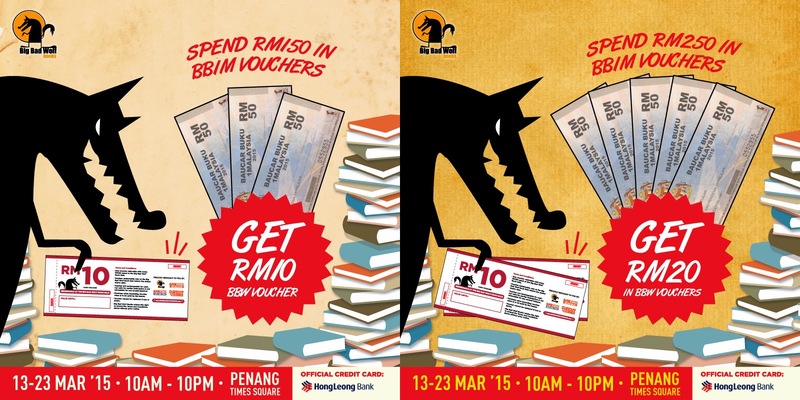 For MPH, you can either spend it at the Putrajaya International Book Fair 2015 (event ending really soon!) (event ended!) or at their bookstores to enjoy the promotion. Each voucher (RM50) entitles you to get 3 books. Disclaimer: I do not endorse the usage of BB1M vouchers to purchase items such as hard drives etc as according to the BB1M guidelines, the BB1M vouchers should be used to buy books. I am just simply providing the information that people are looking for. 6. 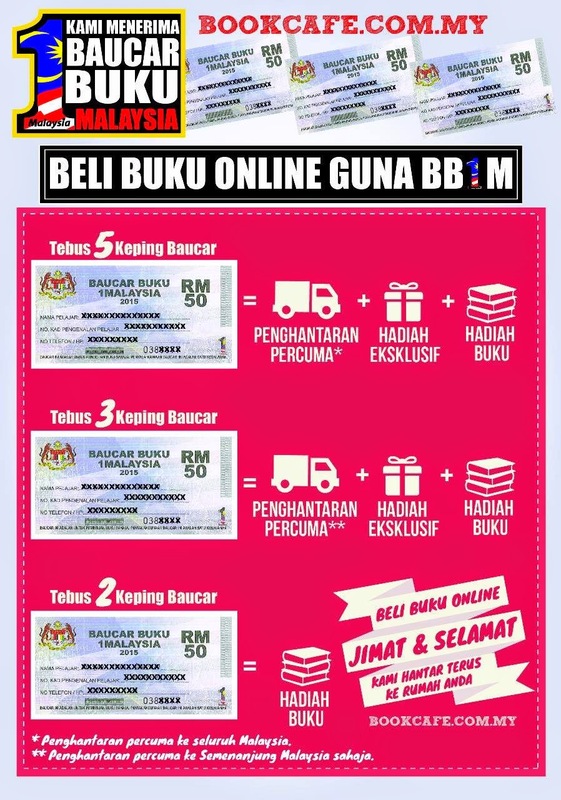 PC Image (link) - I heard that PC Image charge RM10 for every RM50 BB1M voucher used. Got a question/feedback/comment? Leave them in the blogpost - I will try my best to help you! Hi, thanks for compiling the list. Could it be that you know that if Kinokuniya is accepting the voucher too? The previous years, Kinokuniya has been accepting the vouchers, so I think they should be accepting this year as well. But I haven't seen any promotion on their Facebook whatsoever. I will try to confirm this soon. God bless you for compiling this, cheers! Is stationary applicable as well for book vouchers? Hey Bryan. It really depends where you spend the book vouchers. 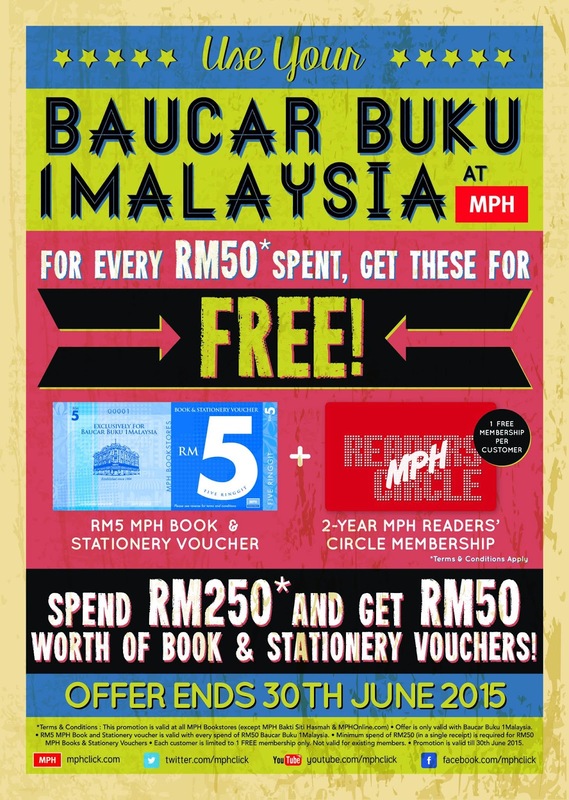 Most major bookstores like MPH, Popular no longer allow you to use BB1M for stationery - that is why they actually give out their store vouchers that can be spent on stationery if you spent a certain amount of BB1M voucher. But I know certain stores are more lenient and don't follow the new guideline. Hope this helps! Hey there ! :) May I know which stores doesn't follow the new guideline? Hi Eva. Are you looking to purchase stationery with your BB1M vouchers? 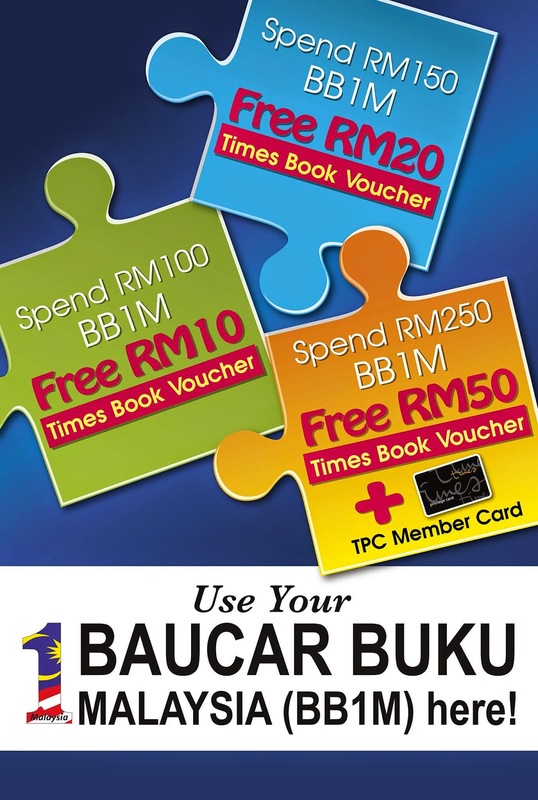 From what I heard, Pustaka Rakyat outlets are accepting BB1M vouchers for anything in their store - no restrictions. There are many more small shops that accepts BB1M and don't follow the guideline but I don't have much detail yet. Hope this helps! can use to buy any books? Hi there. It depends where you spend your voucher. Example: MPH is very strict on the ruling - only academic/educational books/materials. Other places, you can spend on any book such as BookXcess, PTS Media etc :) Hope this helps! Hi, I just want to share info that you can buy non-academic books, cookbooks, novels, comics in MPH. I just bought some cookbooks today in MPH NuSentral. Hi, do you know if Kinokuniya is lenient when it comes to stationery? I found a news post/article from 2013 that Kino accepts the use of the vouchers for stationery but only 20% of your total book vouchers. 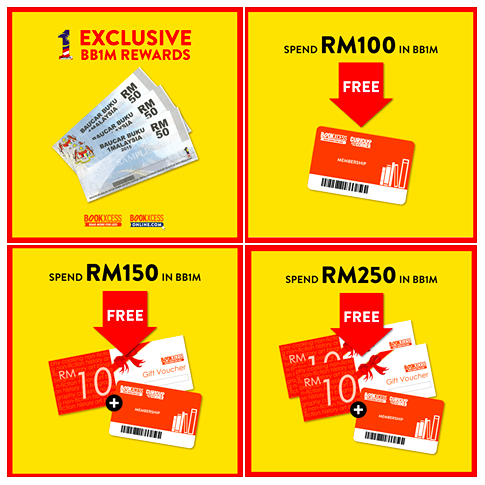 In any case, I will be heading to Kino tomorrow to check out their policies on the BB1M vouchers. No stationery but that wasn't the disappointment of today. My friend renewed her Kinokuniya Member card so I thought I'd use it to get a further 10% off. After that, I went to MPH where I spent my remaining RM100. With a member card, you are entitled to 10% discount and you also receive RM10 worth of vouchers meant for books AND stationery. In conclusion, I think MPH is the better choice compared to Kinokuniya (can't use friend's member card) and Popular (very limited selection for books). D: Gosh they are so strict about the member card and BB1M details. hi, kinokuniya confirm accepting book voucher in 2015? any promotion? Hi Ruxyn, wanted to buy hardisk using BB1M as my laptop out of memory soon. Too much software installed and to put in separate pendrive will be a mess. Do you know which shop that has that offer? Hi! May I know which area are you from? Maybe you can check out Pustaka Rakyat outlets? From what I heard, they accept BB1M and apparently they have some IT related stuffs including hard disks =) Hope this helps! Any bookstore that we can spend 100% on stationary? Planning to buy an external hard disk. Hi Michael. May I know which area are you from? If you are looking for external hard disk maybe you can check out Pustaka Rakyat outlets. 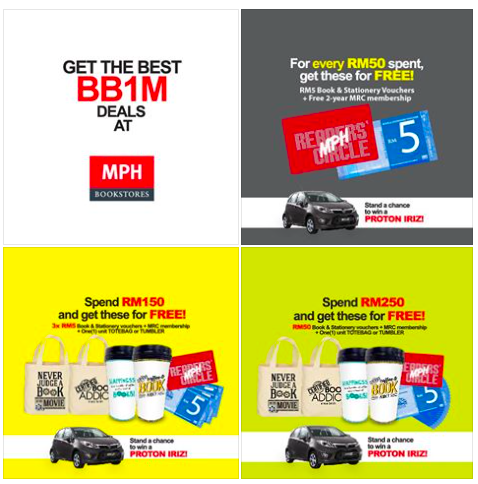 From what I heard, they accept BB1M vouchers (with no limits etc) and they have IT related stuffs. Hope this helps! So , stationery wise, its best to go Pustaka Rakyat? What about writing pads and books like crossword puzzles and novels? BB1M applicable to them too? Hi there. Yeah, I will think Pustaka Rakyat will be a safe choice for stationery. My friend told me he managed to spend his BB1M vouchers at Borders to buy stationery tho, with some terms and conditions. Can I buy any kind of books from popular usinf the voucher ? Can spend it on IT fair? Or maybe popular bookstore? How about IT fair in Mid Valley?? IT fair in Mid Valley..I think it depends on the merchants (those stores that are selling at IT Fair in MidValley itself).. so can't really confirm anything. And I'm soooo sooo sorry for the late reply! Been busy! any shop in KL area ? Hi, I'm also an Arsenal fan. Wanna date? i'm from kajang...may i know which shop in kajang receive bb1m 2015? Hey :) Sorry I'm not sure which shop in Kajang accepts BB1M. :/ Only know about most major bookstores and some of the selected ones mentioned here. Sorry! Hey. I think you can spend BB1M in this store: CZipLee in Kajang. But not sure what are the restrictions. Try calling them? can i pls know where to buy pendrive with the voucher in KL?? Maybe you can try Pustaka Rakyat? People have been telling me they get stationery/IT stuffs from there. Can i buy those self study language book with the voucher? Borders accept 20% stationery.If you buy RM 250 with Br1m. Can I use 2 sets of voucher under the same name? 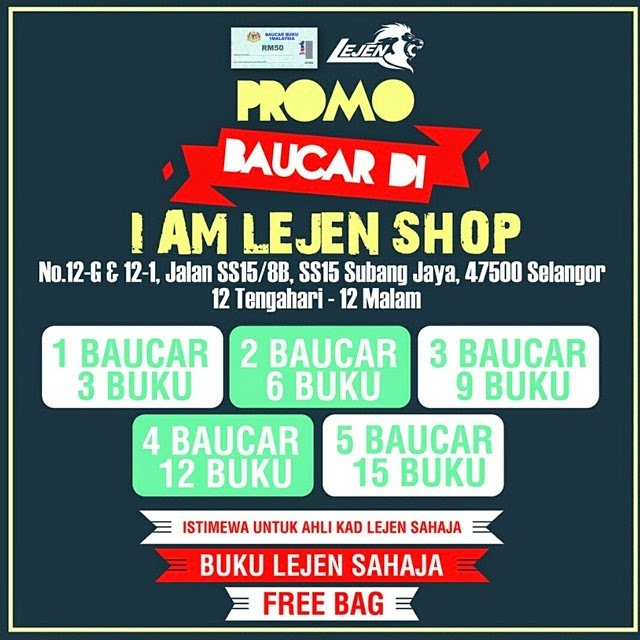 Where can I buy comics using voucher in penang? Hi! So sorry for the late reply. What kind of comics are you looking to buy? Manga? Marvel comics etc? Can I use the book voucher to buy comics? If can which bookshop allows? Just back from Ipoh parade, popular doesn't allow to buy comics, stationary and magazines. Hi there, most major bookstores do not allow the usage of BB1M for comics unfortunately :< I'm not from Kampar/Ipoh area so don't really know where else that you can get comics/stationery/magazines other than the ones listed here (mostly in Klang Valley) :/ Sorry! Can someone tell me tat is kinokuniya still accept bb1m for the purchasing of novels n non-fiction books now?? Becuzz i heard tat we just allowed to buy academic books at there...? Hi, may i know that which bookstore allow to use BB1M voucher to buy stationary or other stuffs by 100%? Any books or any price? Is there also 80%-20% like MPH or Popular? Hi, may I know in Johor Bahru,which shop is allow us to using BB1M to buy the IT things? Hi, may I know in JB,which shop allow us to using BB1M to buy the IT things? Hi can we use it to buy novels at mph or popular? Also it still can be used on the 30th of june right? Hi, I know is a bit late to ask this, do you know why many of us did not receive the book voucher? I studied in Sunway College, I can say most of us (ppl around me I asked) did not receive this. Is it like given out from the school? From my own experience, usually students will have to ask the admin from the department/uni in order to get the information about the book voucher. Usually the uni admins will set a date for students to collect the voucher within a period of time. Perhaps you can ask the admin from Sunway about this? :) Hope this helps. Hello, can I use the BB1M vouchers at Art Friend (an art shop located at midvalley and the curve) ? Hi, may I know if there's any shop in Selangor that still accept BB1M vouchers for stationeries or IT items? Hi can I know where to get story books with the book vouchers in Penang?